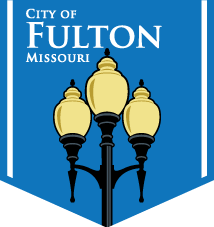 Parks and Recreation is offering Fulton Swimming Lessons for ages 3 and up. Classes will be divided by ages and ability and will be conducted in two week sessions running Monday through Thursday. Most classes will be provided with a ratio of one teacher to every three students and the classes will teach from the basic water skills to stroke refinement based on class level. Make sure to review the class description to determine what level your child needs to sign-up in. Class size is limited so sign-up today! Discounts available for families with multiple children. 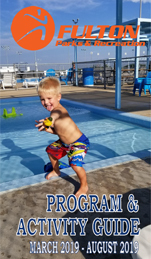 This volunteer program allows students to receive instruction in water safety, facility operations, customer service, teamwork, leadership skills, basic work skills, life guarding skills including in-water rescues, CPR and First Aid. This program will provide introductory training that will be beneficial for those who wish to pursue lifeguard certification in the future. Students must be 11 to 15 years of age and be able to swim 50 yards using crawl or breaststroke. Participants must agree to volunteer two hours per week at the swimming pool and attend all training sessions. Each Junior Lifeguard member will be provided a free volunteer staff t-shirt and whistle. Pre-Registration is required. Grab your inflatable tube or raft and join us at the pool for a great movie. The swimming pool opens at 8 p.m. and the movie will start at appoximately 9 p.m.
Hey kids, bring your dad out for a day at the pool. The swimming pool will be open for three hours just for kids and their dads. There will be a “Cannonball Contest” and “Bellyflop Contest” just for dads. All fathers accompanied by a child will be admitted for free. All kids are invited to celebrate the last days of summer vacation by joining us at the pool for swimming, dancing, games and a whole lot of fun. The party will have a Luau theme where you will receive a lei at the entry and there will be free hot dogs for the first hour of the pool being open.